New York’s Non-Profit Revitalization Act (the “Act”) went into effect on July 1, 2014. This is the second in a two-part series of easy-to-miss points about the Act. For last week’s installment, click here. Patterson Belknap’s complete summary of the Act is also available if you’d like to delve more deeply. The Act establishes a new universe of “related party transactions.” Specific procedural and substantive requirements are imposed on those transactions, such as the related party’s disclosure of the relationship and departure from the meeting for the discussion and vote (except to the extent the related party is invited to answer questions before the vote occurs). The board may not approve the transaction unless it determines that the transaction is fair, reasonable and in the organization’s best interest. If a related party has a “substantial financial interest” (an undefined and somewhat murky concept) in the transaction, the Act requires the consideration of “alternative transactions.” Finally, the Attorney General has expanded enforcement powers to seek a court order unwinding related party transactions that are improper. All of this is well-known. 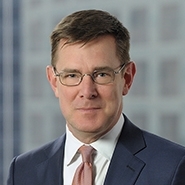 What is less well understood is that, as a fiduciary matter, a board may have concerns about a whole array of conflict situations that are not “related party transactions.” A good conflicts policy will go farther than the statute in extending disclosure and recusal obligations to all conflicts of interests – not just related party transactions – and seek to approach these situations in a consistent and prudent manner. Organizations should be careful not to conflate the 35% ownership rules for “related parties” within the meaning of the Act with the various 35% ownership rules under Federal tax law and IRS disclosure requirements. Just one example: A corporation may be a “related party” under New York’s new rules (for example, because 35% of it is owned by a board member’s sister) but not a “disqualified person” under the Federal rules (because siblings aren’t counted for purposes of the private foundation tax rules). Similarly, the Act’s definition of “key employee” is tied to the Federal tax law definition of a “disqualified person” under the “excess benefit transaction” rules (IRC Section 4958) and is not congruent with the definition assigned to the term “key employee” as it is used in IRS Form 990. Each context requires its own specific analysis. Attempting to find equivalences or analogies across these similar but different contexts is risky. If a New York not-for-profit corporation is the controlling shareholder of a New Jersey business corporation conducting business solely outside New York State, the New Jersey corporation is an “affiliate” of a covered organization. Therefore, a transaction between the New Jersey corporation and one of its “key employees” or board members appears to be a “related party transaction” – even though there may be no nexus to New York other than ownership of the entity by a New York organization, and even though the key employee or board member of the affiliate corporation may not have any connection to New York or any ability to influence or control the parent organization. Similarly, a Texas nonprofit that has an overlapping board with a New York not-for-profit corporation may discover that the two entities are under “common control” and that the Act applies (or purports to apply) not just to the transactions of the New York entity – but also to the sister organization in Texas… and to transactions between the Texas organization and directors, officers or key employees of that organization who have no connection to New York or the New York organization. Curiously, it appears that the Act would bar the New York not-for-profit corporation from “entering into” a “related party transaction” between an affiliate and a “related party” unless the New York not-for-profit fulfills the statutory approval requirements (see Point Four above) – even though, strictly speaking, the New York not-for-profit may not be “entering into” anything: the affiliate is entering into the transaction. And still more curiously, the Attorney General purportedly has authority to go to court to seek rescission of such a transaction and statutory damages, despite what may be a tenuous New York connection and the fact that such an action would require ignoring the corporate separateness of the two entities. The application of the Act to “affiliates” strikes us as an area where the Attorney General should be especially thoughtful in developing sensible guidelines for the interpretation and application of the Act. Matters may be sorting their way out for a long time. Right now, the key take-away is that a New York organization needs to be mindful of identifying its affiliates and determining how to apply the Act, and the organization’s conflict of interest policy, to transactions involving those affiliates – even if the affiliates are out-of-state, not controlled by the New York organization and in fact have nothing in particular to do with New York or New Yorkers.